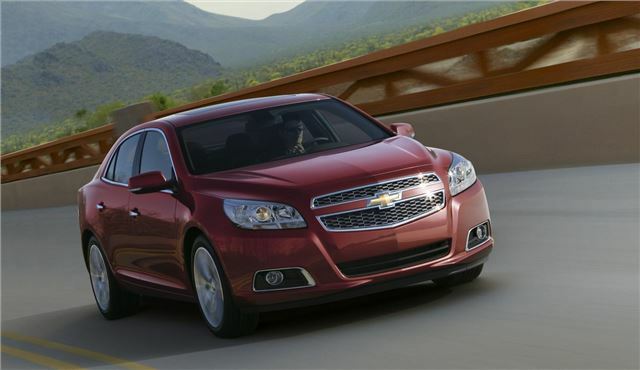 Chevrolet will introduce the Malibu, its new flagship model, at Frankfurt. The new car falls into the midsize segment, meaning it faces rivals like the well established Ford Mondeo and Vauxhall Insignia, and newcomers like the Hyundai i40. The sleek exterior design features Camaro inspired rear lights, Chevrolet’s signature grille, 17- or 18-inch alloy wheels and a low drag coefficient. There is a dual cockpit design in the cabin, with metallic chrome details, ambient lighting and high-contrast stitching in the seats. Noise-deadening materials are abundant to keep the cabin quiet. There’re numerous storage areas including a cubby hole behind the radio fascia, much like the one featured in the Orlando MPV. Some of the available option equipment includes sat nav and a Bluetooth system which allows the user to operate smartphone apps while the phone is stowed safely away. Parking sensors and a reversing camera will be available on higher spec models. There will be a 2.0-litre petrol engine with 164bhp and a 2.4-litre diesel with 169bhp, both available with wither manual or automatic gearboxes. Chevrolet engineers have aimed to match upmarket models for ride quality and refinement, and testing has been carried out on country roads, motorways and in town to ensure the Malibu performs well in all situations. As such there is multi-link independent rear suspension and McPherson struts at the front, as well as a rigid body. For more information on the Malibu and on all the cars appearing at Frankfurt, follow the dedicated page here.